My work is grounded in a somatic understanding that the body and the mind are one. The mind expresses itself through the body, while the body communicates through movement. When paid attention to, our movements help us connect to ourselves and experience ourselves more deeply. Looking at the body’s language and allowing the body to speak serves as a gateway to the inner landscape. The tools that I use come from the field of the Expressive Arts and a Somatic Movement Practice, called Movement Ritual, developed by dancer Anna Halprin. In this movement practice, one tunes the body as an instrument to sense and to strengthen one's self. Trained at Tamalpa Institute I make use of the Life Art Process®. in which an essential connection is made between art and life. The arts are used to express and to inform real life themes and questions; they are used for learning, healing, and transformation. Developed by the Halprins in the 1950s, the Life Art Process® approach is influenced by dancers, landscape architects, theater performers, visual artists, and poets. In collaboration with Fritz Perl's (Gestalt therapy), Moshe Feldenkrais (awareness through movement), Carl Rodgers (person-centered therapy) and Thomas Gordon (confluent education), it bridged the fields of dance/movement, somatics, psychology, and education. This approach is being used internationally to work with people and communities in the fields of expressive arts therapy, education, consultation, health care, organizational development, community service, and the arts. The original and engaging combination includes movement, improvisational tasks, drawing, creative writing, and verbal sharing all in one session. 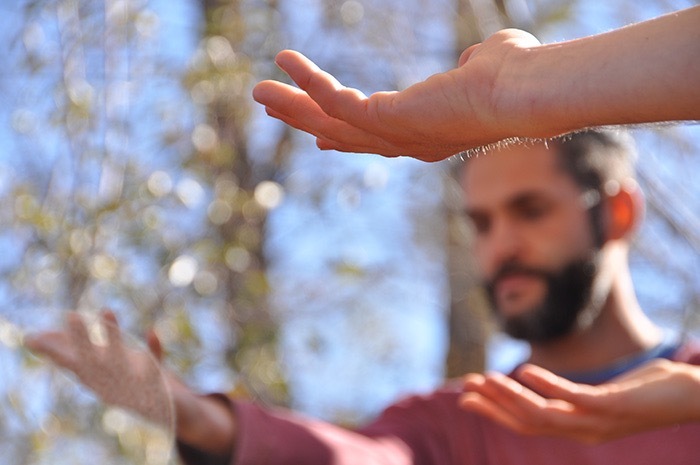 Through movement activities and somatic check in, people are invited to connect with their sensing body. Sensations, feelings, and thoughts are shaped through shapes, gestures, and dynamics and are further explored through intuitive drawing and creative writing. As people move back and forth between movement, drawing and writing, the dialogue between physical sensation, feeling, and thinking is enlivened. Then our physical, emotional, and mental awareness start to connect and to align.